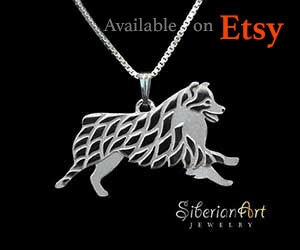 The Australian Shepherd is the star of this website. Lots of information, great resources and a friendly community for Aussie owners. Be sure to sign up for our monthly newsletter, get the Aussie Weekly special feature, Like our Facebook page and Follow Us on Pinterest. Looking for dog behavior training tips to help with barking, chewing, jumping up, digging, nipping, biting, or getting aggressive? There are steps you can take to help your Aussie stop these behaviors. Ketona dog food, from KetoNatural Pet Foods was created with one primary goal: improving dog nutrition of dog and puppy food by limiting carbohydrate intake. Can ketogenic or keto food help your dog? Having a fearful dog can be a challenge. 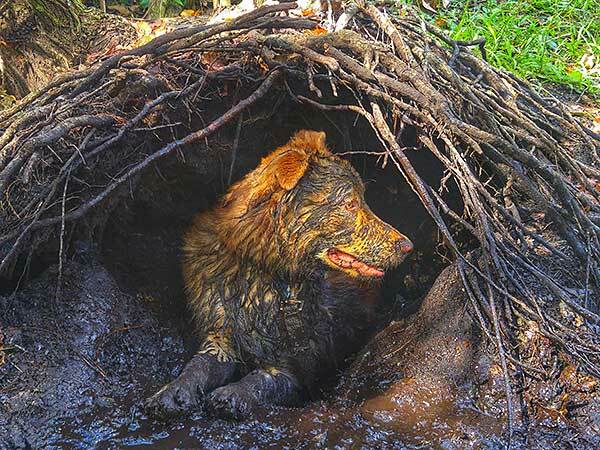 If your Australian Shepherd has ever reacted in fear to a particular situation you've undoubtedly wondered what you can do to help them be less timid and nervous. Finding the best dog chew toys is like searching for the Holy Grail for most dog owners, but we have some dog chew toy suggestions that will be durable and fun for your dog. Australian Shepherd breeding is about more than just bringing together a sire and dam to produce puppies. Learn more about what goes into dog breeding that is vital to keeping the breed alive and thriving. 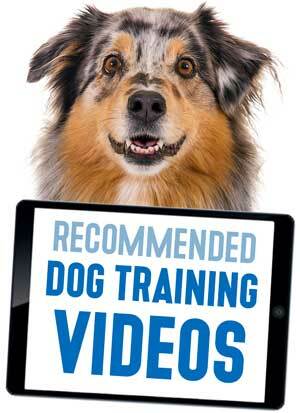 Recommended dog training videos make it easy to train your puppy, your adult dog, or to deal with behavior problems. Here we let you know about site updates, photo of the month, interesting reader submissions, product highlights, new rescues available and anything else that comes up that we need to tell you about. Every two weeks you will get a new edition featuring... the BEST Photos submitted by readers like you, Product Highlights for dog owners, Cartoons by Mark Anderson, Dog Quotes and the feature photo will also be available as a FREE Online Puzzle (great for kids and Aussie fans of any age). Give it a try! It's completely free and you can unsubscribe anytime. Join the thousands who have "Liked" our Facebook page. 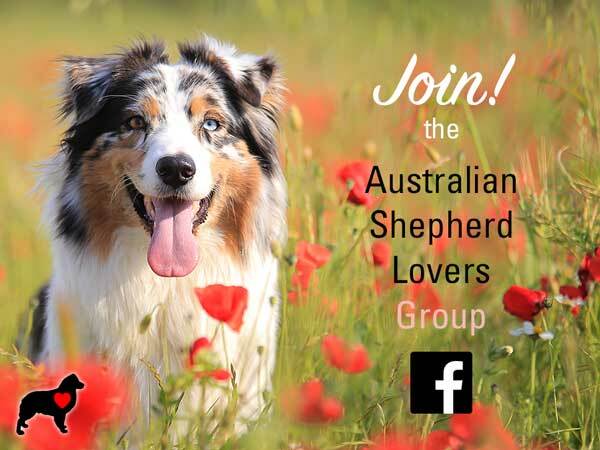 Get quick updates and special notices of interest to dog owners and connect with other Aussie fans. Create a page all about your Aussie! Have a great story to share? Tell us how aussome they are and what events you participate in together. We would love to hear what makes your Aussie special. Be sure to add photos! You can add up to 4 photos with your submission. 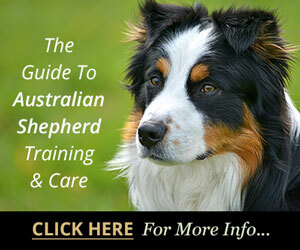 Have questions about your Australian Shepherd? You can search our site, of course, but you can also post any questions you might have here. Chances are someone can help. If you see a question you know the answer to be sure to share your experience. You can add up to 4 photos too. We would love to see your Aussie. One of the hardest things we have to go through is when our beloved Aussies leave for the "Rainbow Bridge." Here you can create a memorial page with photos and share how much your Aussie meant to you. Australian Shepherds excel at agility competitions. In this section we feature information about agility training for dogs, agility equipment and getting started in dog agility traing with your Aussie. Getting a puppy or adopting an older Aussie? It is important that you read this before getting this breed of dog. All breeders are not created equal. Every aspect of your Aussie is directly related to the care that goes into their breeding. Find out what separates the reputable from not-so-reputable. Choosing a breeder is one of the most important decisions you will make to ensure that your puppy is the right match for you, your family and your lifestyle. Find breeders in your area. Our directory features breeders from around the world. If you are a breeder and would like to add your name to our listings click here for more info. If you are looking for a puppy this page features breeders in our directory that have puppies available. We only accept listings from breeders in our directory. Of course, once you get your puppy you are going to have to come up with the perfect name. Our "Favorite Puppy Names" page with give you lots of inspiration and help you decide. You will also want to know how to care for your puppy. This article by Aussie breeder, Ann Calmes, will get you on the right track with great puppy care tips to get you started. How To Introduce A Puppy To An Older Dog. You are not just introducing them to each other but to the home and all of the dynamics that entails. Homemade dog food, commercial dog food, raw dog food diet, food allergies, Wysong dog food, the best bully sticks and recipes you can try at home are covered in our dog nutrition section. Basic dog grooming topics are covered including brushing, cleaning ears and eyes, maintaining teeth, bathing and dog grooming equipment including the FURminator. In our health section you can find information about hereditary diseases, viruses, bacteria, worms and parasites. Also has articles about dog skin problems, constipation, diarrhea, vomiting and more. Sometimes you don't want to pay for a complete office visit to your vet—you just need to get a question answered. Here you can ask a veterinarian about your dog health problem, 24/7. It's done online so you can get your questions answered quickly and with this program you don't pay until you accept the answer. Often it's something we don't want to think about until it's too late and we are facing a huge veterinary bill. Get the info you need and decide if getting health insurance for your dog is somthing you need to do. Dog bites are a serious issue. Find out about dog bite prevention, first aid and treatment, infections from dog bites, lawsuits and insurance. Our Photo of Month showcases the best photos sent in by readers. On this page you will also find the previous winners. Depending on your internet connection this page may take a bit longer to load for you because of the many photos. 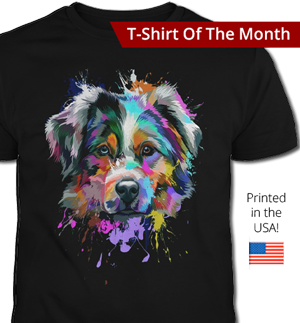 If you have great photos of your Aussie you would like to send in you can get more info about submitting your photo(s) here. This section features a wide variety of articles many of which have been contributed by our readers. Just some of the topics covered include dog games and activities, Frisbee dog sport, therapy dog traing, puppy socialization and more. Check out this page to see which topics are of interest to you. 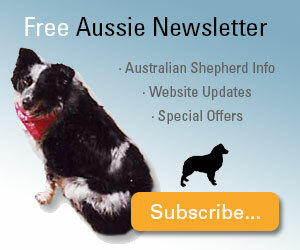 If you are looking for the Breed Standard or info about Aussie colors and markings this is the place. 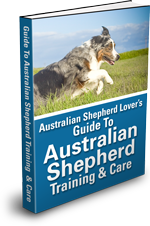 This section also covers the difference between Australian Shepherds and Miniature Aussies which are considered to be separate breeds. The sections above will give you a good start at exploring the site. You can also use the Search Box at the top of every page (right side of banner) to find what you are looking for. 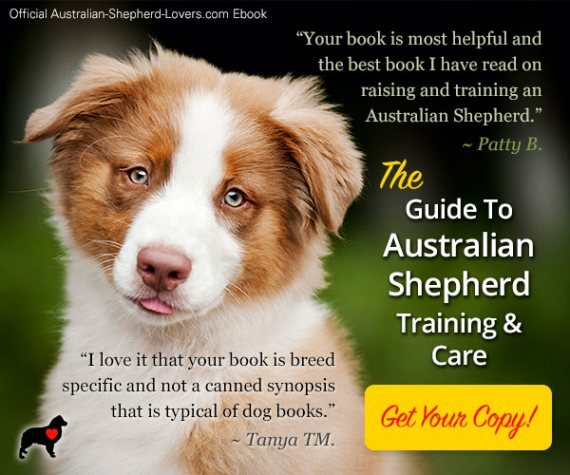 To create a solid foundation for care and traing of your Aussie and to help prevent behavioral problems (or deal with them if they are already happening) be sure to check out our very own Guide to Australian Shepherd Training and Care Ebook.